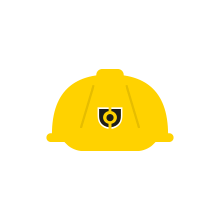 The Construction Plant-hire Association (CPA) is the organisation for plant hire professionals in the UK. All CPA members are entitled to a 25% discount on our monthly subscription. They are also entitled to the first four weeks’ subscription free of charge. Hire Association Europe is the combination of two leading trade associations, HAE and EHA, which mainly encompass hire and rental companies in the UK and Ireland. The Association is unique in that it brings together the diverse sectors involved in hire: HAE with membership from the tool and equipment and plant; and EHA with membership from the audio visual, catering, inflatable, marquee and portable sanitation hire sectors. All HAE members are entitled to a 25% discount on our monthly subscription. They are also entitled to the first four weeks’ subscription free of charge. The Timber Trade Federation (TTF) is the official voice of the UK timber trade. All TTF members are entitled to a 25% discount on our monthly subscription. They are also entitled to the first four weeks’ subscription free of charge. The National Access & Scaffolding Confederation (NASC) is the national representative organisation for the access and scaffolding industry. All NASC members are entitled to a 25% discount on our monthly subscription. They are also entitled to the first four weeks’ subscription free of charge. The International Powered Access Federation (IPAF) represents manufacturing, distribution, rental trades and users of all forms of powered access equipment. All IPAF members are entitled to a 25% discount on our monthly subscription. They are also entitled to the first four weeks’ subscription free of charge. British Expertise, formerly BCCB, is an independent not for profit organisation, founded in 1966. Their objective is to help member companies develop their business abroad. They can do this by introducing members to key contacts and to potential partners and clients, and by supplying market intelligence and training. Their wide range of contacts in the UK and overseas means they can offer excellent networking opportunities.. All British Expertise members are entitled to a 25% discount on our monthly subscription. They are also entitled to the first four weeks’ subscription free of charge. Mida International are the UK’s leading buying group for electrical wholesalers. All Mida International members are entitled to a discount on our monthly subscription. They are also entitled to the first four weeks’ subscription free of charge. FASET is the trade association and training body for the safety net rigging and fall arrest industry. All FASET members are entitled to a 25% discount on our monthly subscription. They are also entitled to the first four weeks subscription free of charge. All signatories of the government’s Better Payment Practice Campaign (BPPC) are eligible for a 25% discount. All signatories of the Prompt Payment Code (PPC) are eligible for a 25% discount. The Executive Hire Club was developed to bring tool hirers together. Got a hire related problem? Solve it with the help of your fellow hirers through our online forum. All Executive Hire Club users are entitled to a 25% discount on our monthly subscription They are also entitled to the first four weeks’ subscription free of charge. The objective of the Confederation is to achieve real and beneficial improvements in the business environment in which Specialist Companies operate. All CCS members are entitled to a 25% discount on our monthly subscription. They are also entitled to the first four weeks’ subscription free of charge. HTA provides benefits and services nationwide for the hire industry and users of hire equipment alike. Regular industry bulletins, equipment safety information and HTA Code of Practice are also published. Memebership covers a wide spectrum of the hire and rental industry including building and construction equipment, cranes and mechanical handling equipment hire, lighting equipment hire, electrical equipment hire and civil engineering equipment hire. All HTA members are entitled to a 25% discount on our monthly subscription. They are also entitled to the first four weeks subscription free of charge. AIEW is a purchasing consortuim (buying group) specifically for electrical wholesalers. The aim of AIEW is to bring together successful independent electrical wholesalers and help them to improve their business. All AIEW members are entitled to a 25% discount on our monthly subscription. They are also entitled to the first four weeks subscription free of charge. The National B2B Centre was established to help small and medium sized businesses throughout the West Midlands to evaluate and adopt new technology to aid business growth. Many of their services are free or subsidised. All NB2BC members are entitled to a 25% discount on our monthly subscription. Vision Publications produce a monthly magazine for the glass and glazing trade. All Vision Publication subscribers are entitled to a 25% discount on our monthly subscription. Vertikal Press produce a monthly magazine for the crane & access trade. All Vertikal Press subscribers are entitled to a 25% discount on our monthly subscription.